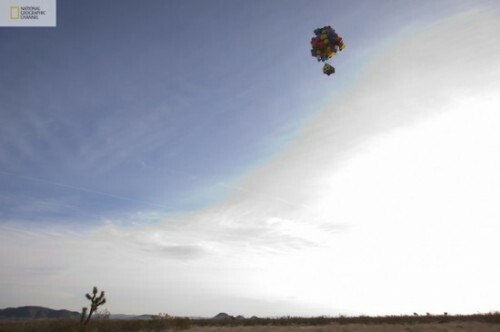 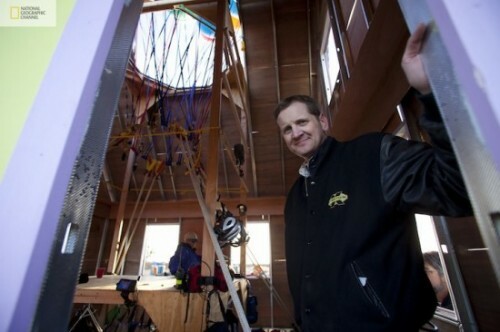 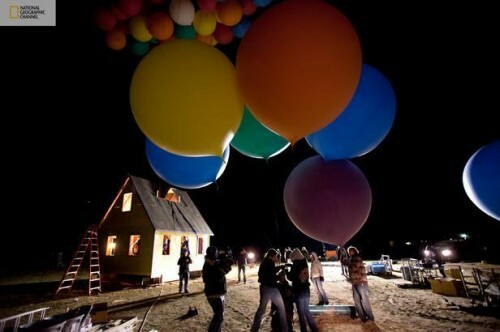 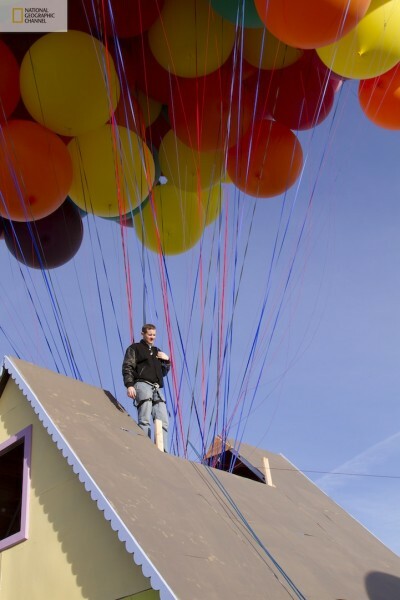 At dawn on Saturday 5 March, National Geographic Channel and a team of scientists, engineers and two world class balloon pilots successfully launched a house measuring 16 feet by 16 feet and 18 feet high, using 300 eight-foot coloured weather balloons from a private airfield east of Los Angeles. 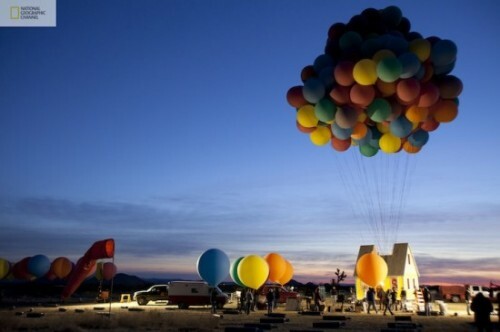 The launch – inspired by the Disney/Pixar film “Up” – set a new world record for the largest balloon cluster flight ever attempted. 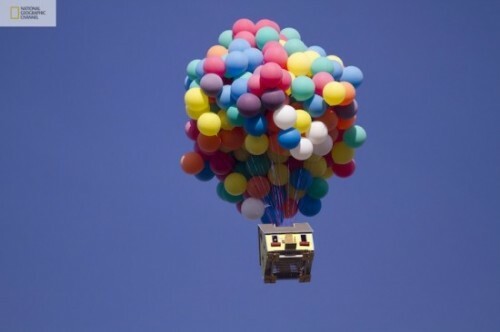 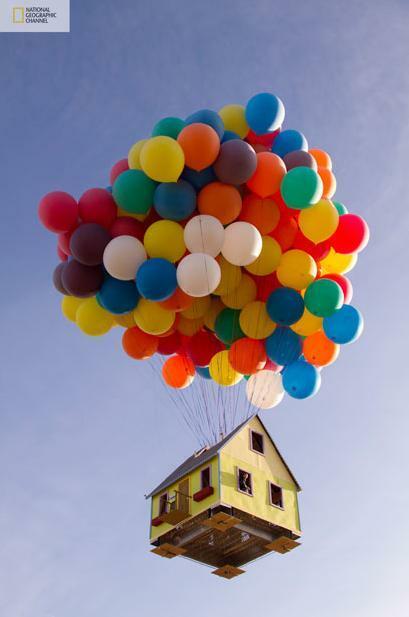 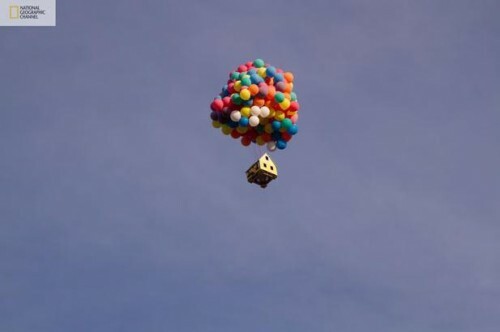 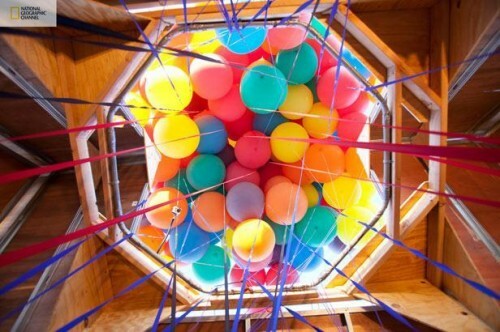 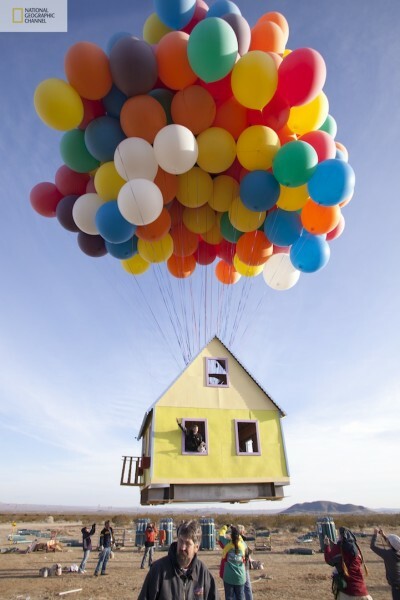 The house and balloons measured more than 10 storeys high and reached an altitude of over 10,000 feet, flying for approximately one hour. 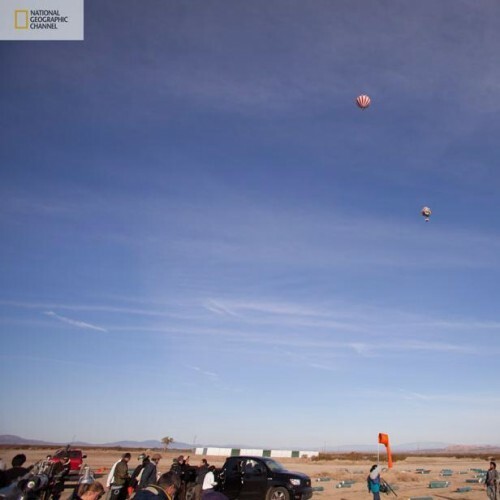 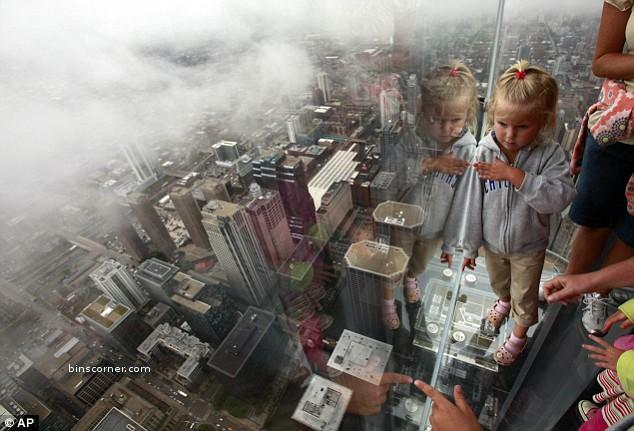 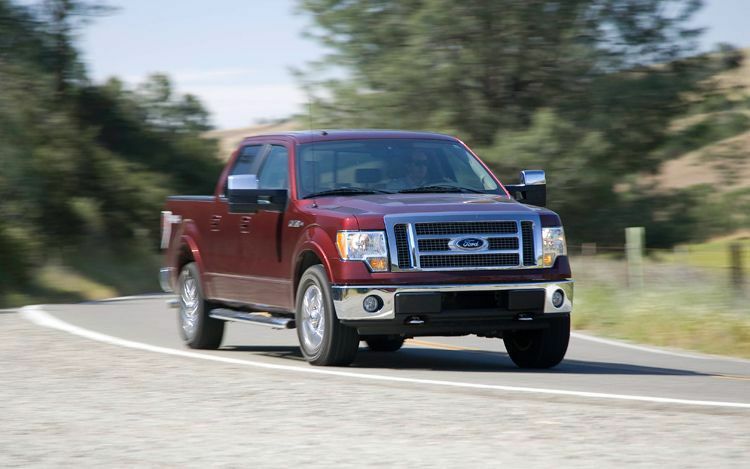 The record will be part of a new National Geographic Channel series called “How Hard Can It Be?” which will premiere in 2012. Check out and this Movies Represented As Drinks illustrations done by Glenn Michael.